I turned a few pens this holiday season and had 2 interesting ones that I thought I’d post. 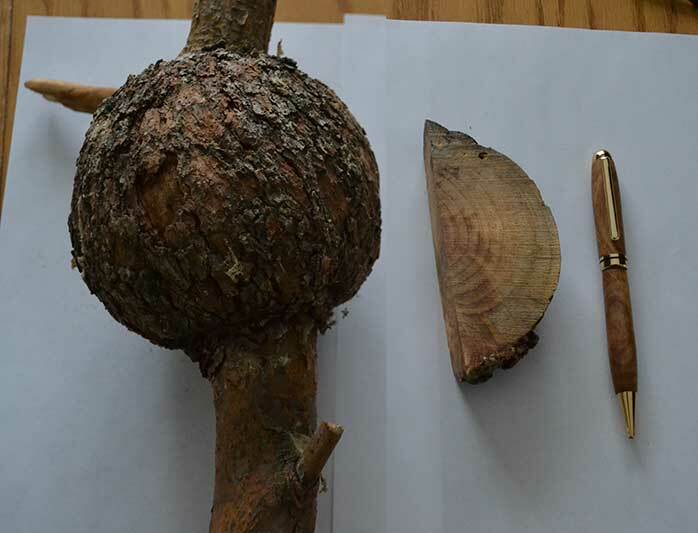 This first one is made from a globular growth that occurs on some scotch pine trees. 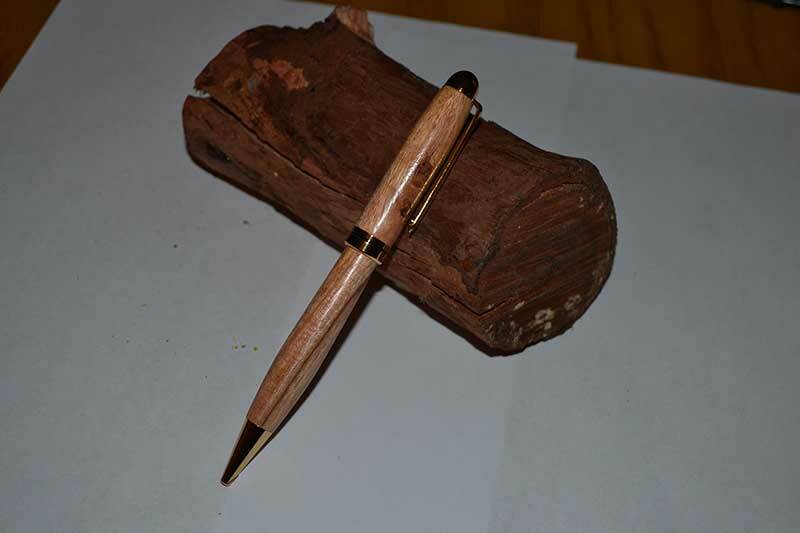 Below is a picture of one of the branches, the cut before turning and the finished pen made from the branch. 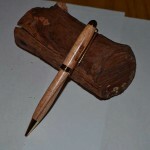 This second pen is made from a piece of wood from the Hawaiian island of Kauai. It comes from an area with lots of the famous “red dirt” that is used to make “red dirt shirts” in Hawaii. This wood absorbed the red colour of the soil and retained it after turning.